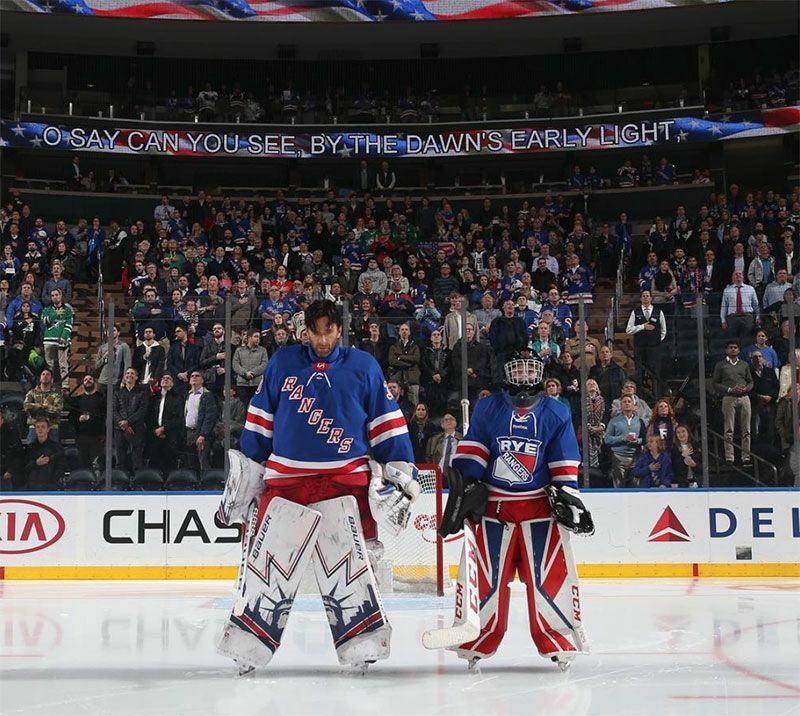 The Rye Rangers offer a premium goaltending experience. We take great care of our goalies, ensuring they get a playing and coaching experience tailored to their specific needs, consistent with the specialized nature of the position. Placement on a competitive travel team that competes in the Hudson Valley Hockey League or WestConn League. Up to six teams per age group allows for ideal team placement. Multiple practices and skills session per week in the heart of the season. Forty to fifty games per season, including tournaments and playoffs. Rye Rangers is pleased to have a close affiliation with Pro Crease Goaltending, the premiere goalie development program in the Northeast. Pro Crease is led by founder Jared Waimon, who is the goaltending coach to U.S. National Under-17 Team as well as goaltender coach at Quinnipiac University. Early-season training includes weekly goalie-specific practice sessions with Pro Crease. A Pro Crease goalie coach is on ice for all weekly team practice sessions throughout the season. 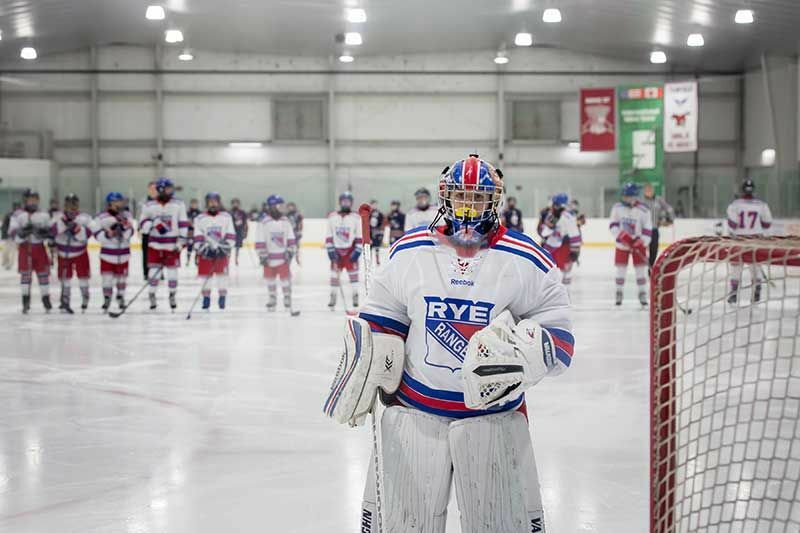 Welcome to the Rye Rangers 2019-20 season tryouts. We are looking forward to another fantastic season filled with fun, skill development and success in games! Below you will find information that we hope is useful in explaining the tryout process and season team makeup for next year. PLEASE plan on arriving at least 1 hour before your first tryout to allow time for registration, payment of tryout fees, and assignment of tryout pinnie. Each player will be assigned a tryout pinnie that they are to wear for the entire tryout process. Coaches at check-in will let you know whether to wear the blue side or white side of the tryout pinnie. The tryout fee is $125 per player and can be paid in cash or check made out to Rye Rangers Hockey Club. Any player new to the Rye Rangers must submit a NYSAHA Release form from their previous organization prior to participating in any tryout. Evaluators will be in the stands. Erik Nates’ group will be running the tryouts on the ice. Please respect their privacy and do not approach with questions regarding the performance of your child. This selection process is difficult and a meeting is held with all coaches and evaluators to discuss player team assignments to ensure fairness, equity and agreement between the selection committee. Players will be notified via email of their team placement shortly after the conclusion of the final tryout. A letter of commitment will be attached to the email and must be signed and mailed to Rye Rangers PO Box 85, Rye NY 10580, with a $1,000 deposit within 3 days of notification. Failure to do so will result in the spot on the team being made available to other players. As a reminder, all 2018-19 membership dues must be paid in full for participation in tryouts and consideration for a spot on a team for next year. 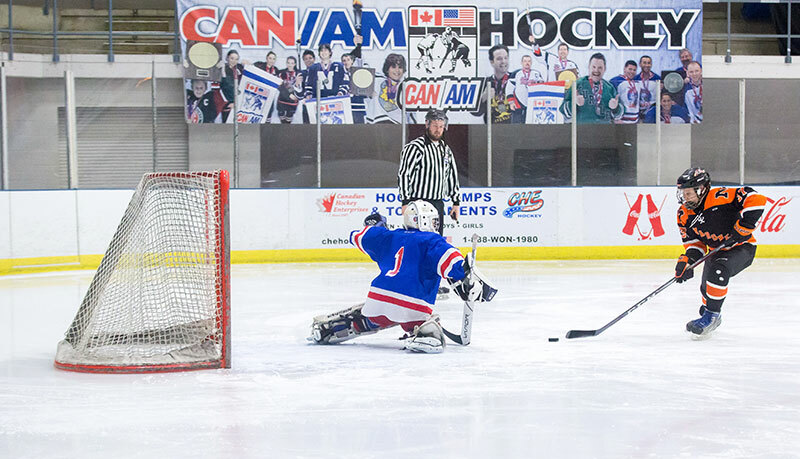 The travel teams will participate in the Hudson Valley Hockey League and WestConn League. Pee Wee ATB, Bantam ATB & potentially Midgets will be state and national tournament bound eligible. Information regarding Mites will be forthcoming at a later date. Please allow ample time for parking and let parking attendant know you are there for Rye Ranger tryouts in the rink and parking is free. As always, please do not hesitate to contact Sharon or Steven Ketchabaw us at 914-937-9331 or via email at ryerangershockey@aol.com should you have any questions. Congratulations to our Pee Wee A-Tournament Bound team for their win in the AA division of the Chelsea Piers Connecticut Martin Luther King Jr. Tournament. Congratulations to the Pee Wee A team for their win in their Silver Sticks Regionals last weekend. The Rangers, coached by Ted Heintz, went 4-0 for the tournament, including an exciting 4-3 overtime win in the finals over the Wonderland Wizards. With the win, Rye advances to the International Finals Jan. 10-13 in Pelham, Ontario. Congratulations to players, coaches, and parents! 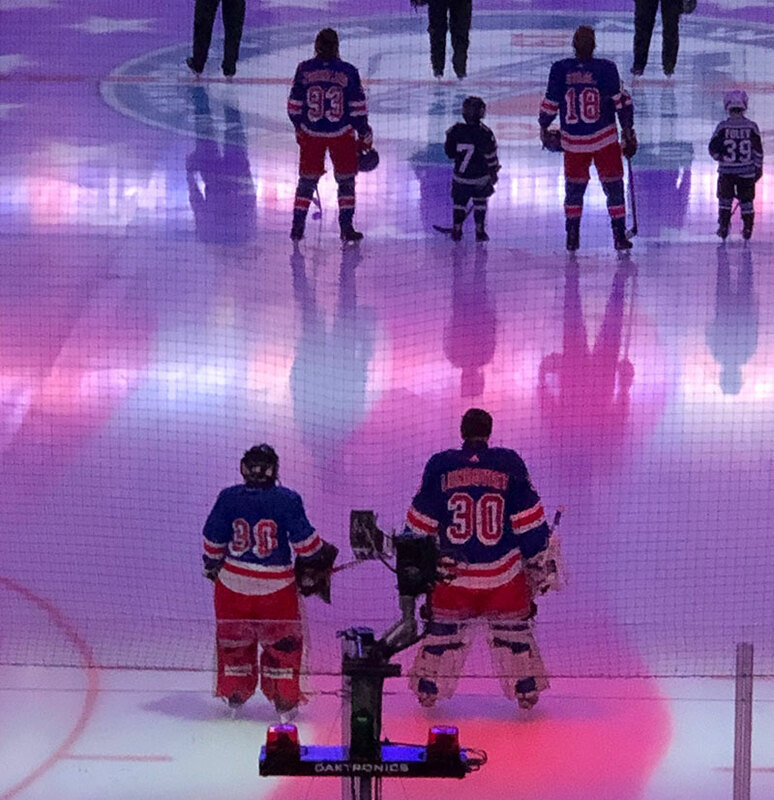 Rye Rangers Squirt A goalie James Cragin had the thrill of a lifetime Monday night when he was able to stand for the national anthem at MSG alongside Rangers legend Henrik Lundqvist. Thanks to the Rangers and the Cragin family for these remarkable images. 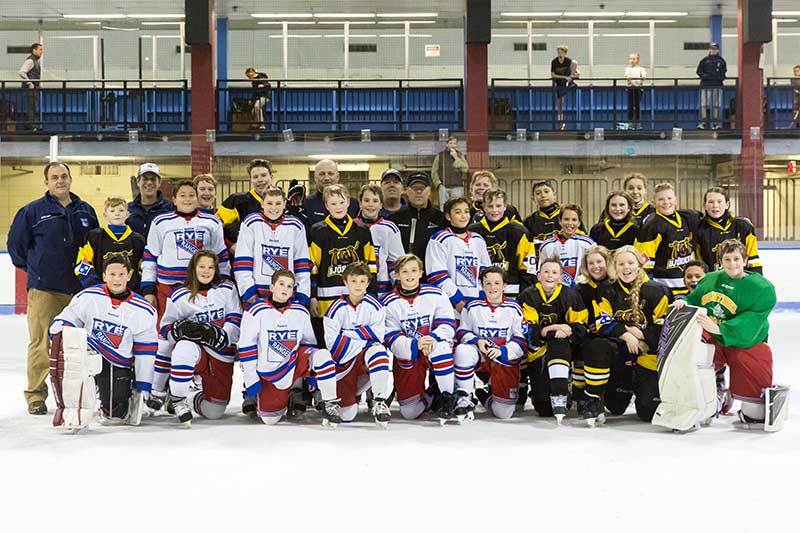 A handful of Rye Ranger teams were able to enjoy a weekend entertaining guests from Reyjavik, Iceland as part of our deepening relationship with hockey clubs there. After Pee Wees and Bantams took part in a joint Nates practice session with our visitors on Friday, teams squared off in two head-to-head games on Saturday. The weekend will conclude with an intrasquad scrimmage on Sunday. 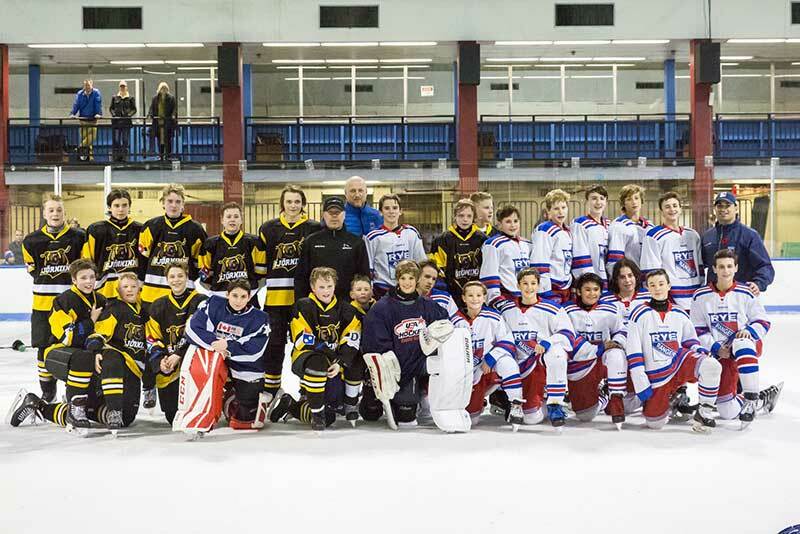 Thanks to all the Rye Rangers families who hosted players from Iceland this weekend, and to board member Rob Dorfman for his tireless efforts in making the visit a success. 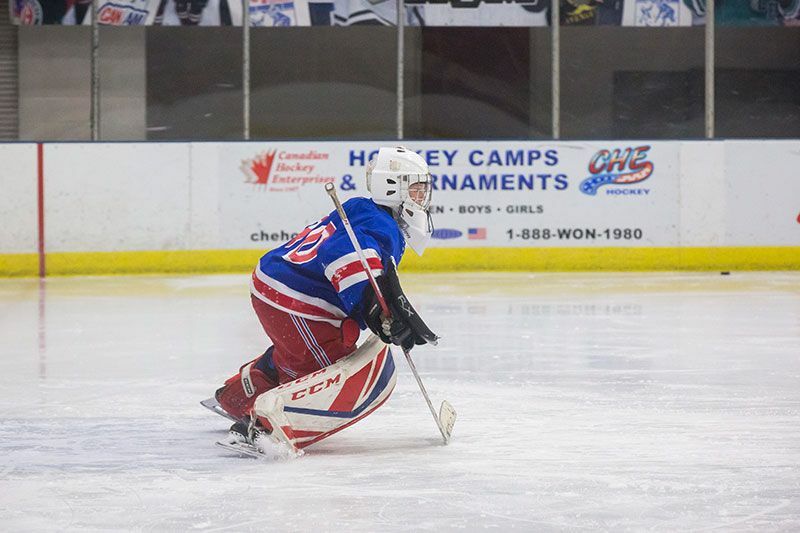 The Rye Rangers offers programs for every level of player, from beginners to adults. Below is a breakdown of our different programs. Please email for more information. The Rye Rangers have four levels of instruction in our 8U program so there is a progression from one year to the next. All of our levels work on each individual player's overall skill development in a fast-paced, energetic and fun manner. The entry point into ice hockey for most players, this is for players who have recently learned to skate. Ice sessions are typically Sunday mornings at the Playland studio rink. Named after USA Hockey’s groundbreaking American Development Model, our Mite ADM program offers station-based instruction in skating, stickhandling, and shooting fundamentals. Clinics are typically on both weekend mornings. The next level of progression from Mite ADM, Mite Minor continues station-based instruction on the weekend, along with midweek intramural games and cross-ice games against other programs. 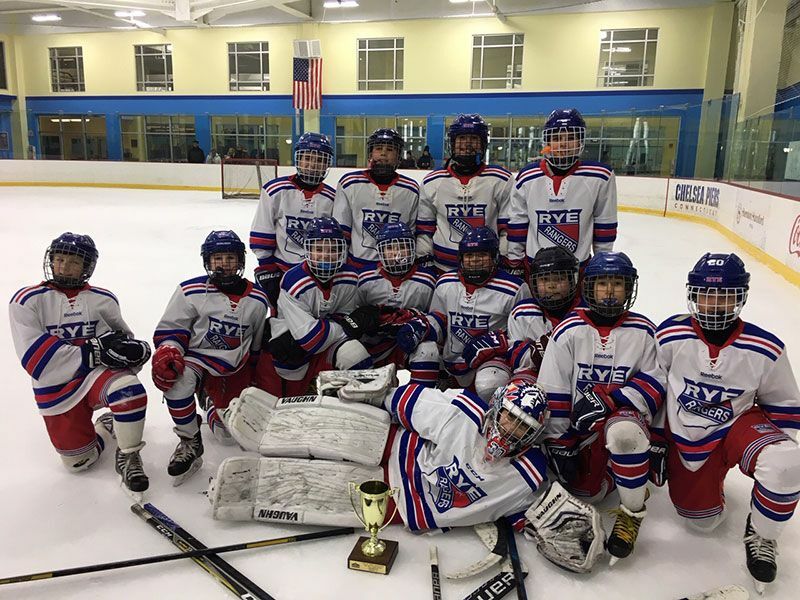 Our Mite A team continues to emphasize skill development, and is also entered in the Chelsea Piers Connecticut cross-ice league game. The first year of full-ice hockey, with a continued strong emphasis on skill development. 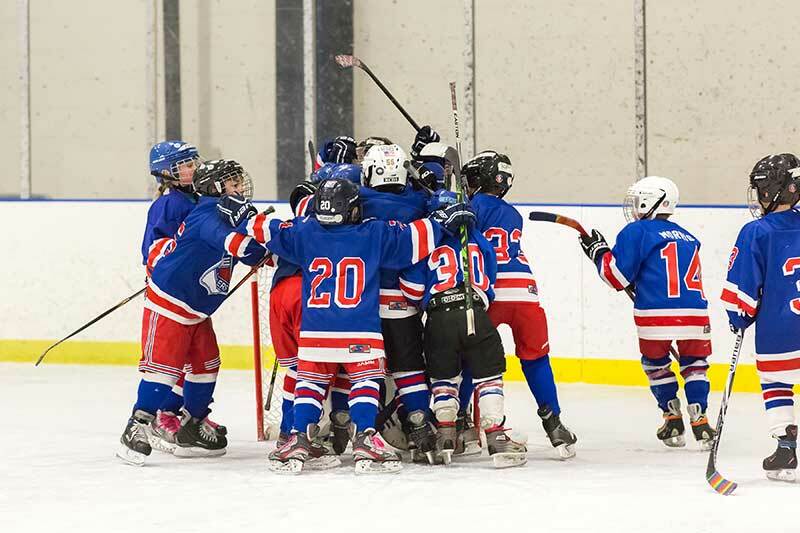 Our teams compete in the Hudson Valley Hockey League. Skill development remains a priority, with increased attention to team concepts. Teams also compete in the Hudson Valley Hockey League. Our Pee Wee A-Tournament Bound team is eligible for the New York State Tournament at season’s end. The first level of full checking. 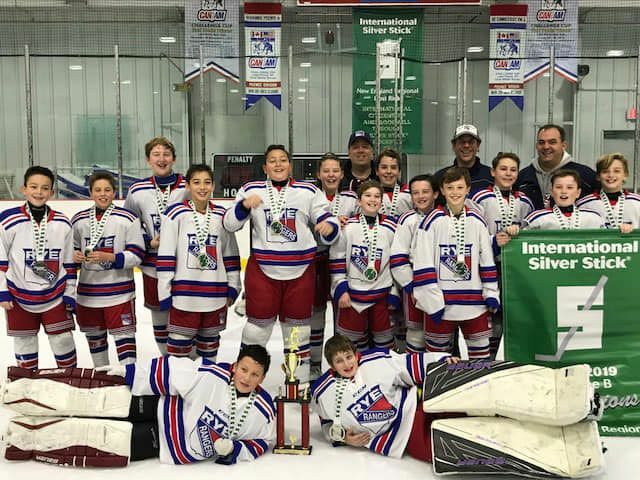 Teams also compete in the Hudson Valley Hockey League, with our Bantam A-Tournament Bound team also eligible for the New York State Tournament. Midget teams play a truncated schedule from late August through November to accommodate school hockey schedules. Adult pick-up hockey typically on Thursday nights and weekend mornings, with some game opportunities against other programs. Open skate sessions, with no sticks or pucks, typically on Friday and Sunday afternoons. Thanks to Ray Burke, a proud Rye Rangers alumnus and now a Squirt coach, for digging up these team pictures from the 1980s. It's worth noting several of the coaches and players in these pictures -- (a decidedly-less gray) Rocky Shepard, Mark Finnegan, Sam Weinman, Ray Burke, and others -- are all still active coaches in the program. On December 15, 2001, the Rye Rangers staged a memorial hockey game and fundraiser for the families of the three members of the club who died in the tragedy at the World Trade Center. These individuals are Tommy Palazzo, Teddy Maloney, and Ward Haynes. The day was a huge success. At the Rye Rangers Memorial Cup, we dedicated an award called the “Good Skate Award.” What struck each of us as we remembered our friends was how genuinely good they were, how helpful they were to their friends, how loving they were with their families, and, generally, how much fun they were to be around. In rink jargon, each one was what you might call a “good skate.” A black granite trophy with an imbedded silver skate was created by one of our members, Gerry Baum, to remind us of this goodness and to inspire us to be better individuals.